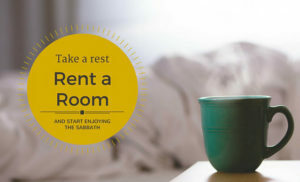 There is a possibility to rent a guest room in the church building. It is a great alternative for traditional hotels or hostels. Our rooms are cosy, comfortable and what is more, situated right at the city centre, very close to well-known Main Square and Krakow Railway Station (7 minutes by car, 15-20 minutes by foot.) You need around 30 minutes to walk to the Wawel Castle. There are also many good bus and tram connections to the other parts of the city, including Krakow Airport. Take a rest and start enjoying the Sabbath with your familly. Importantly, there is also a parking space available for our guests. You can keep your car safely behind the building! 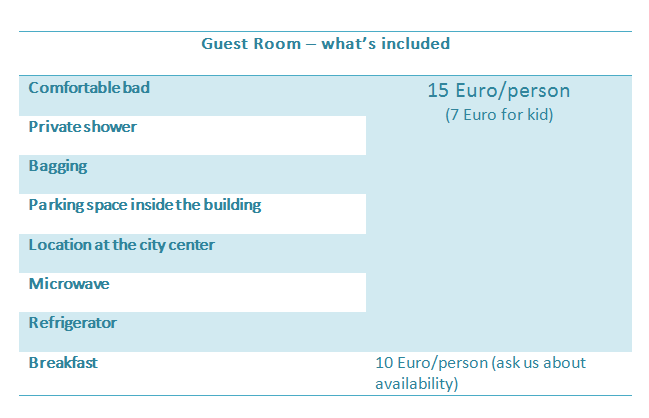 The price for double room (which may be adjusted also for a family with children) is 15 Euro per person. Your kids pay half-price. Bagging and parking space included.